Back in May fans of Brooklyn Nine-Nine had a very stressful thirty hours or so. Fox had cancelled the Golden Globe winning series and everyone proceeded to lose their minds. Then NBC swooped in and renewed the series for a thirteen episode sixth season. As of yesterday that episode order has been bumped up to eighteen and people couldn’t be more excited. Collider recently spoke to star and producer Andy Samberg and he teased some of the things we can expect to learn in the next season. Well, you’ll obviously find out what happens with the cliffhanger with Holt. There’s gonna be an episode that’s focused on Hitchcock and Scully, which I’m really excited about. We’re gonna see Jake and Amy experiencing married life. We’re gonna to continue to see Rosa dating, after coming out, so there’s new dynamics to that, continuing to deal with her family. I think there’s gonna be an episode where Jake and Gina go to a high school reunion because they grew up together. That’s all I know. This is a show that has never had huge ratings but for the fans who watch it it is one of their favorite shows. Samberg was asked what has been the most surprising thing about this show and Samberg revealed that it was less surprising and more satisfying to see people embrace the show. I don’t know that I would say it’s surprising, but for me, the most satisfying thing has been watching the cast grow, and see the world get to know them and fall in love with their characters and performances. I guess you could say that was surprising for me, just because it was an unknown. And for the social issues to become such a thing that’s at the forefront of our show, that was definitely not what we went into it thinking would happen. We definitely wanted the cast to be very diverse because it was representative of what the Brooklyn Police Department looks like. We talked a lot about how we never wanted to be like that’s what the show is about. We just wanted it to be something that was. But the way the world has changed, during the time since we started, it’s become something that everyone has focused on more, in a really beautiful, positive way. A lot of people say to us, “Your show looks and feels how I wish the world was.” For me, to be able to have those elements be a part of it, and also get to just do really fun, hard comedy, which is my main goal in all things in life, is very gratifying. 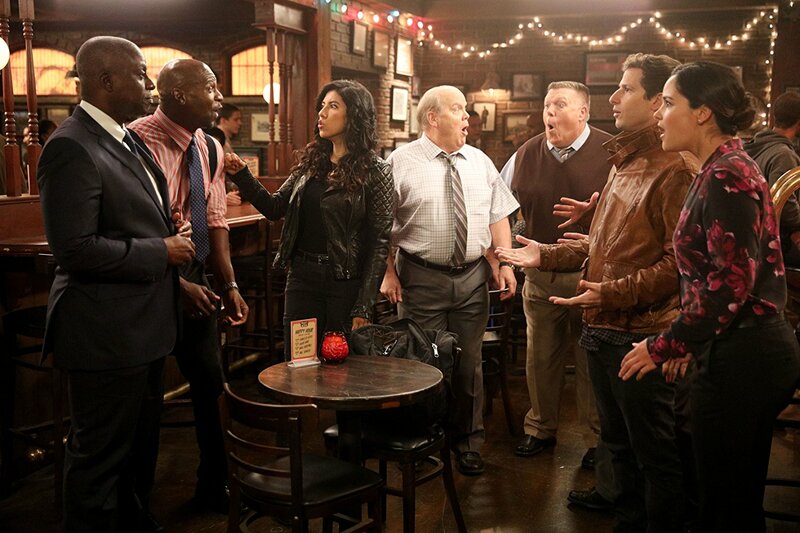 Finally, one of the secret weapons of Brooklyn Nine-Nine is Andre Braugher. He is a Shakespearean actor who graduated at the top of his class Juilliard and the show takes advantage of that in the best possible ways. No one would ever think Braugher would be a comedy man but now it’s a crime he hasn’t won an Emmy yet. He’s so funny. Sometimes he doesn’t even know that he’s being funny, he just is. That was the most surprising thing for me, not because I didn’t think Andre was brilliant, but because we didn’t know what he would do with comedy. 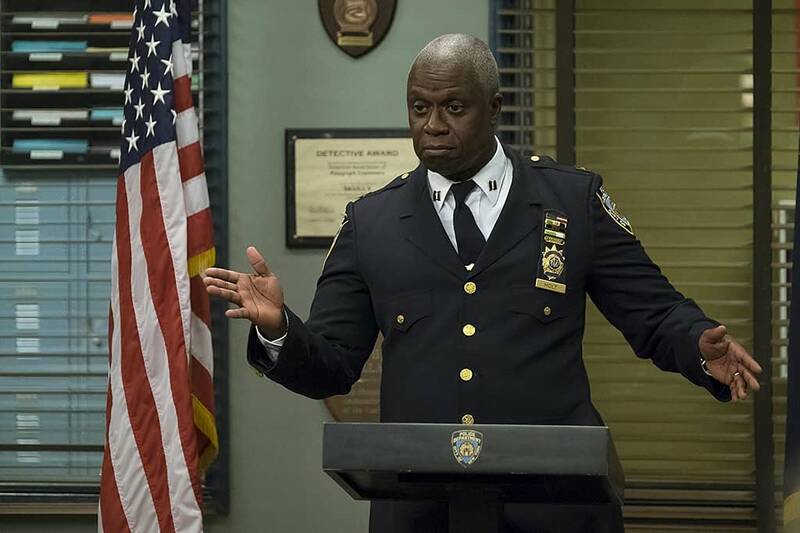 The combination of his take on Holt and the way that they’ve written Holt turned into the centerpiece of the show, in my opinion. It grounds it, but it also gives it its tone. It’s able to be extremely wacky and silly and slapsticky, but also somehow come across intellectual, which I think is a really important balance to strike. It turns out that our personalities are very well-suited. We got lucky. Brooklyn Nine-Nine is set to return during the mid-season but there is no specific release date yet.